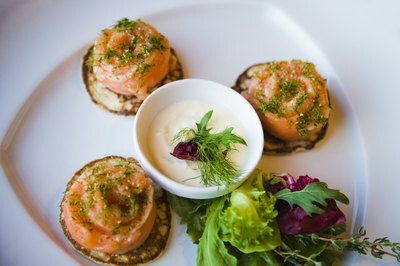 French-influenced food was trending during the 1960s thanks in large part to the popularity of Julia Child. Instant coffee and diet sodas hit the market for the first time. Entertaining was moving in a more casual direction but still was more formal compared to subsequent decades. Party food in the 1960s was inventive and playful. The 1960s was the era of the cocktail party, and cocktail parties required plenty of bite-sized appetizers to offset the effects of alcohol. Canapes and hors d'oeuvres were standard. 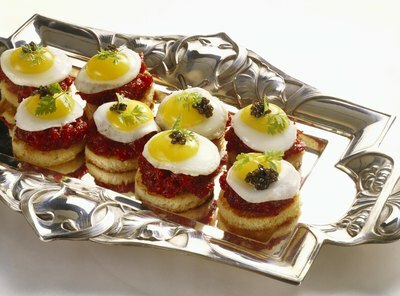 Canapes are small bites on bread or crackers while hors d'oeuvres are self-contained. Two or three appetizers should do for a home cocktail party; consider their visual presentation as part of your menu planning. For an authentic appetizer menu, offer deviled eggs, individual skewered meatballs in a sweet-and-sour sauce and celery stuffed with cream cheese. Cheese balls, clam dip and onion dip also were standard fare. To round out the menu, offer spiced nuts, olives and/or cherry tomatoes. In the 1960s, entertaining moved to the suburbs and from there, out of the dining room and into the backyard. Weekend barbecues became a common affair. Burgers both plain and fancy were the backbone of outdoor gatherings, but kebabs, shrimp on skewers and hot dogs put in strong appearances as well. Grilled fruit kebabs, too, found their place on the menu. Side dishes should include a green tossed salad, potato salad and/or coleslaw. 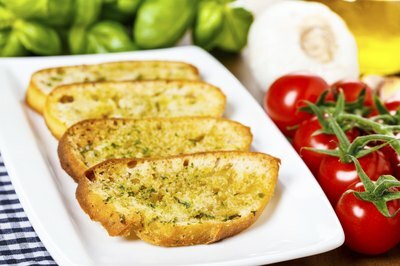 For an authentic touch, grill a loaf of Italian garlic bread in foil and serve it as an appetizer or side. For the winter months, try a 1960s-style buffet -- with elegant chafing dishes. Main-course casseroles could include lasagna, chicken a la king, beef bourguignon and a cheesy rice bake. Accompany with a side dish of buttered vegetables such as broccoli, carrot and zucchini sticks. 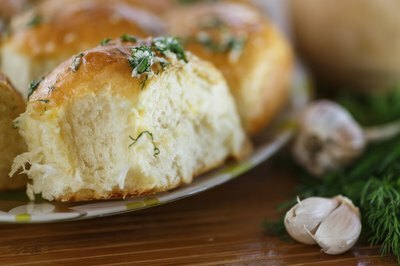 Don't forget the dinner rolls. Dessert might consist of a molded gelatin salad with fruit or for a truly 1960s touch, a "tunnel of fudge" bundt cake. Tiki culture and luau-inspired cuisine was a hot entertainment theme in the 1960s, thanks in part to the restaurant Trader Vic's and also to the admission of Hawaii as the 50th state in 1959. Pupu platters of mixed appetizers were noteworthy and might consist of chicken wings, chicken-liver bites wrapped in bacon, egg rolls or fried wonton, beef teriyaki skewers and fried shrimp. 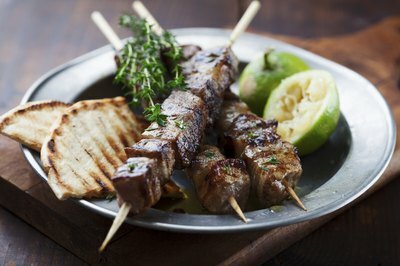 Grilled crosscut short ribs make a good main course, as would any dish combining pork and pineapple. Add tropical fruit salad as a side dish and serve coconut cake for dessert.